NetBeans is capable of being extended by pluggable modules providing additional functionality. Most of JDK installations come with additional JavaFX JAR. Alas the location of the JAR is different on JDK7 and JDK8, moreover on some operating systems (think of Solaris) the JAR is not present at all. To hide the differences and allow smooth consumption of JavaFX APIs NetBeans provide following conventions. 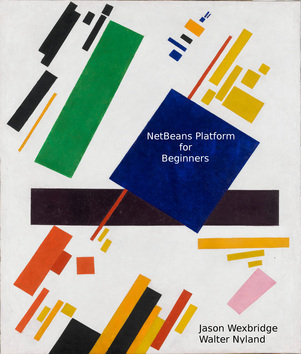 If you want to code against JavaFX APIs, add dependency on org.netbeans.libs.javafx library. Then you'll be able to compile and run while using the API. This token is made available by the module system, if the JavaFX module is present in the JDK. Btw. the org.netbeans.libs.javafx library has such dependency and as a result, all modules that depend on it will be disabled on Solaris or on OpenJDK (if installed without JavaFX). New findCodeNameBase(String) method returning ModuleInfo or null. Dependency.create now allows code name base where dot is followed by number (like org.apache.servicemix.specs.jsr303_api_1.0.0). This increases the inter-operability with OSGi bundles using such naming style. Each module provides by default a token composed from its code name base and fixed prefix: "cnb." + getCodeNameBase() from its getProvides() method. New, more efficient way to execute code on start and on shutdown of your module.